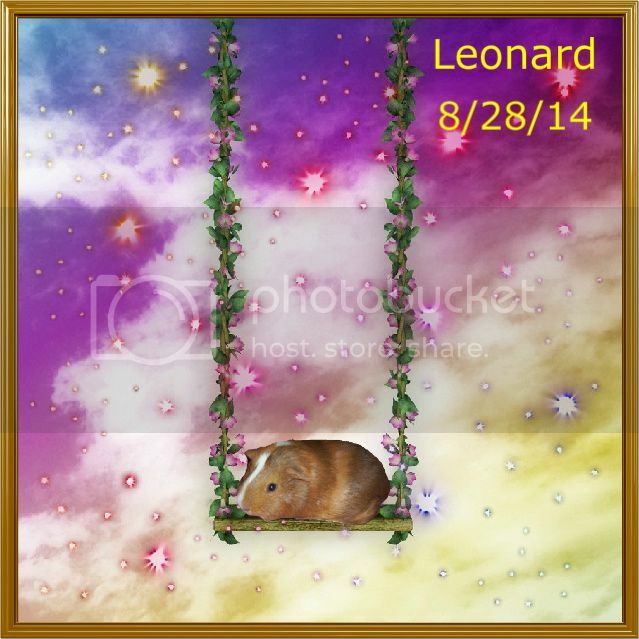 Leonard crossed the bridge on 8/28/14 he was a kewl GPig and much loved by his family and friends. 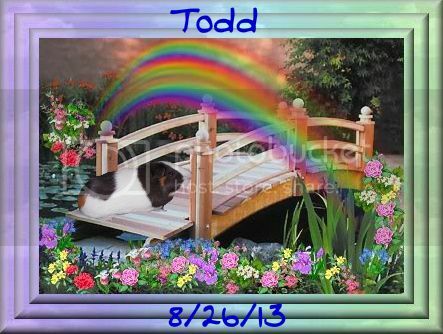 Todd was a way kewl GPig who crossed the bridge on 8/26/14. He too was loved by his family and friends. 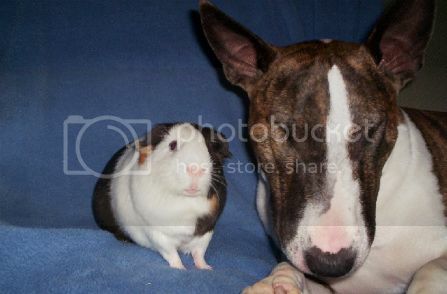 Both pigges were so kewl and the furbro of Tate. Here is Leonard and Tate together at the bridge. 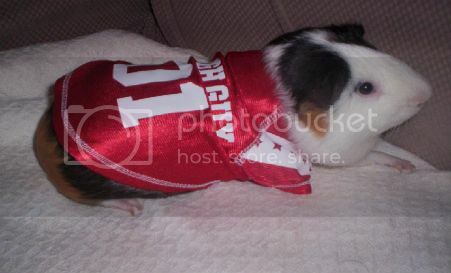 Here are some pictures of Todd having fun, he was such a fun loving piggie. 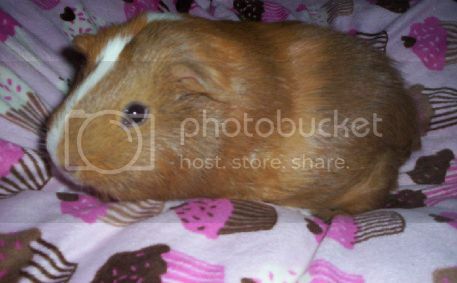 Here is Leonard such a kewl piggie and lots of fun. He only had his furever home for 5 months. 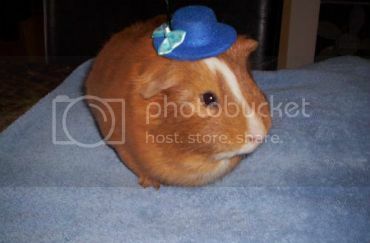 Great pictures Bugsy. I am sorry for your loss Tate. Thank you so much everybody. I don't know if you saw this picture. You are so welcome everybody. I am sure that Leonard and Todd are feasting and having a great time at the bridge. All times are GMT -5. The time now is 5:48 pm.